Last September, Honor held a launch event in China to officially announce two new mid-range smartphones, the Honor 8X and the Honor 8X Max. They seemed to have everything you would expect from a mid-range smartphone in 2018, including the display notch, a dual rear-camera setup, and impressively big displays for the price point. 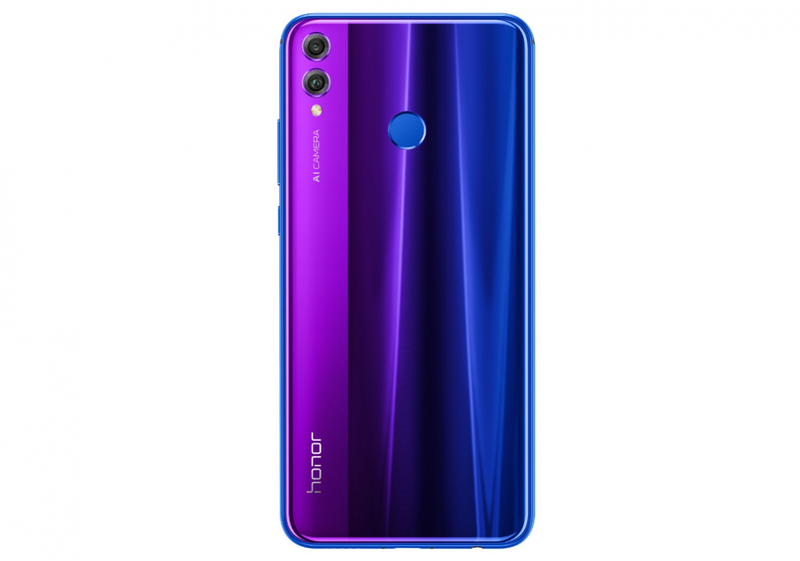 To spark up some more attention for the regular Honor 8X, the company will soon be launching this smartphone in a new color that they’re calling Phantom Blue. The X series from Honor has become known as their mid-range series that offers a unique style with competitive performance at a tempting price. It comes equipped with the HiSilicon Kirin 710 chipset and it’s performance and feature set is pretty difficult to beat at $250. We have previously seen how well the dual rear-camera setup performs and we even learned how the company was able to get the chin bezel down to a tiny 4.25mm (for comparison, the bottom bezel of the OnePlus 6 is 6.1mm). Honor’s X series has sold well over 50 million units worldwide and the Honor 8X has been a success for them as well with over 6 million units sold since it was launched in September of last year. For those who may not have been impressed with the previous colors the phone was available in (or maybe they just never heard about the phone), Honor has announced a new color at CES 2019. They’re calling this new color Phantom Blue and we have a couple of hands-on photos of the new variant. Details about when this particular color will be available weren’t mentioned in the press release, but if they are showing it off at CES this year then it is presumed to be launching soon. Note: Huawei has stopped providing official bootloader unlock codes for its devices. Therefore, the bootloader of the Honor 8X cannot be unlocked, which means that users cannot flash Magisk/TWRP/custom ROMs.